The "Janus" conference took place on 25th of April 2017 in Shanghai. Janus is a mobile security and threat intelligence platform release event. 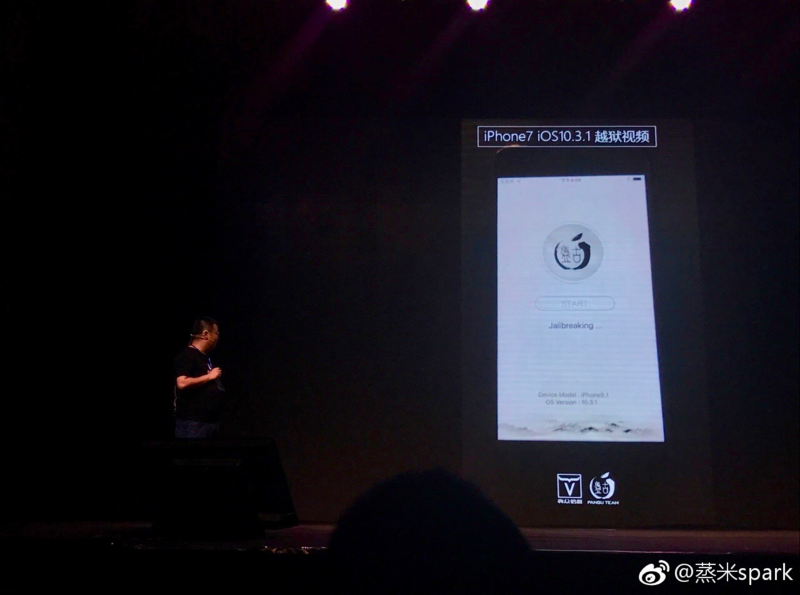 During this conference, Pangu, the famous Chinese jailbreak team, demoed their iOS 10.3.1 jailbreak. Unfortunately, we don't know anything else on this jailbreak. We don't know if it is untethered or not, we don't know which iOS versions and which devices it is compatible with and we don't know if it will be released to the public. Remember: I can't confirm this information, it could be a lie. I highly recommend you to not update your device if you want to jailbreak it. In the meanwhile, save your shsh2 blobs (I'll write a tutorial on how to save them in the coming days) and you will be able to update later to an unsigned iOS version with Prometheus.